The 1940s are the watershed decade of the twentieth century, a time of trauma and upheaval but also of innovation and profound and lasting cultural change. This is the era of Fat Man and Little Boy, of FDR and Stalin, but also of Casablanca and Citizen Kane, zoot suits and Christian Dior, Duke Ellington and Edith Piaf. 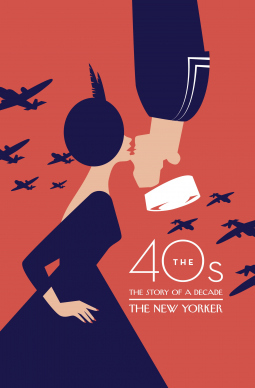 The 1940s were when The New Yorker came of age. A magazine that was best known for its humor and wry social observation would extend itself, offering the first in-depth reporting from Hiroshima and introducing American readers to the fiction of Vladimir Nabokov and the poetry of Elizabeth Bishop. In this enthralling book, masterly contributions from the pantheon of great writers who graced The New Yorker’s pages throughout the decade are placed in history by the magazine’s current writers.